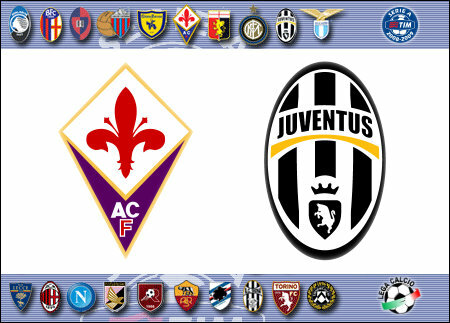 A good Juventus and a very resolute Fiorentina side gave life to an entertaining and exciting contest for fans in attendance at the Artemio Franchi stadium, with the game’s final result never certain until the referee’s final whistle. In the end it finished 1-1, courtesy of goals by Nedved and Gilardino. Juve, 1-0 up with one minute to go (and one extra man due to a Viola dismissal), were certainly the more disappointed of the two sides, but Ranieri can nonetheless smile with some satisfaction. Indeed, his side created more chances than their opponents and showed solidity, character and determination in a difficult away fixture (especially against a traditionally bitter rival and direct challenger for the Serie A title). (From Gazzetta dello Sport): Just like last year in the reverse fixture in Turin, the Viola were able to draw themselves level, but could not eventually find the winner: this time around it would have been too much to ask. It’s important to also acknowledge tonight’s scorers: Pavel Nedved, who had left training in a stretcher just last week, but who in this fixture gave a very energetic display as he ran the pitch tirelessly. He’s one of those players who rarely fails to turn up for important games. Then there was Alberto Gilardino, La Viola’s main attacking threat and the man whose goals will (in all likelihood) determine how well the Tuscan side will do this season. FURIA CECA - The first half was played out at a discrete rhythm with neither side gaining the upper hand, both teams seemingly paying the price for their midweek Champions League excursions. Fiorentina for their part were making good use of both wings, with Mario Santana putting Molinaro in difficulty and Juan Manuel Vargas doing a lot of running on the other side. Juve’s reply on the other end came in the shape of Poulsen’s muscle and by way of some good exchanges between Del Piero and Amauri, the pair looking to find one another fairly frequently. However there was not much in terms of goal scoring chances. The visitors’ goal finally came in the 39th minute, Zdenek Grygera skipping past a man (in one of the defender’s rare forays down the wing) and crossing in for Pavel Nedved: the Czech midfielder then duly obliged his compatriot’s delivery by connecting with the cross to score in an empty net. 1-0 Juventus. Fiorentina were suddenly on the back foot, and Juve twice came close to dealing the Viola the knockout punch: first with a header from Amauri, and then through Del Piero (who failed to beat an outrushing Frey). 1-0 at the break. SECOND HALF - Fiorentina began the second half in a much more aggressive fashion, and were more dangerous going forward thanks in no small part to the introduction of Stevan Jovetic (once again, mark my words: keep this kid under close watch). Vargas also came close with a free-kick and Gilardino carved himself a decent opening when he managed to skip past Mellberg, but then put his shot wide (as a desperate Buffon had come flying out of his goal). Juve however defended solidly, and took advantage of Camoranesi’s technical mastery (better as the game progressed) and Del Piero’s ball control to hit their opponents on the counter. The Bianconeri captain was providing some useful contributions in the final third and came extremely close to scoring, when his 30m free-kick went just narrowly wide. The game maintained its entertaining edge right till the very end, highly competitive (too competitive in some instances especially when Felipe Melo was sent off for a bad foul) and rich in tension as both sets of players were showing the strong desire to win. But none as much as Alberto Gilardino, who in the 89th minute (just as the Bianconeri looked set to clinch the victory) showed excellent technique, good timing and a lot of cunning to turn Mellberg and slot the ball past a helpless Buffon. 1-1. 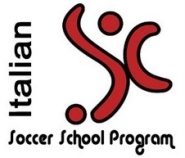 GOALSCORERS: 39’ Nedved (J), 89’ Gilardino (F). FIORENTINA (4-3-3): Frey – Zauri, Gamberini, Kroldrup, Vargas – Almirón (54’ Jovetic), Felipe Melo, Donadel (79’ Kuzmanovic) – Santana, Gilardino, Osvaldo (63’ Pazzini). (bench: Storari, Dainelli, Pasqual, Gobbi). Coach: Prandelli. JUVENTUS (4-4-2): Buffon – Grygera, Legrottaglie, Mellberg, Molinaro (74’ De Ceglie) – Camoranesi (88’ Iaquinta), Marchisio, Poulsen, Nedved – Amauri, Del Piero. (bench: Manninger, Knezevic, Salihamidzic, Tiago, Giovinco). Coach: Ranieri. 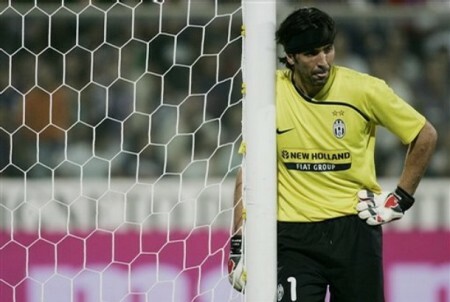 This entry was posted on Monday, September 1st, 2008 at 12:58 pm	and is filed under Fiorentina, Juventus, Serie A. You can follow any responses to this entry through the RSS 2.0 feed. Both comments and pings are currently closed.